Now that the summer is over…. My daughter and Waffles at home this weekend. My world is a little less crazy in September than it was in August. Of course, it’s only September 2nd. But, I haven’t left our desert in more than a week. 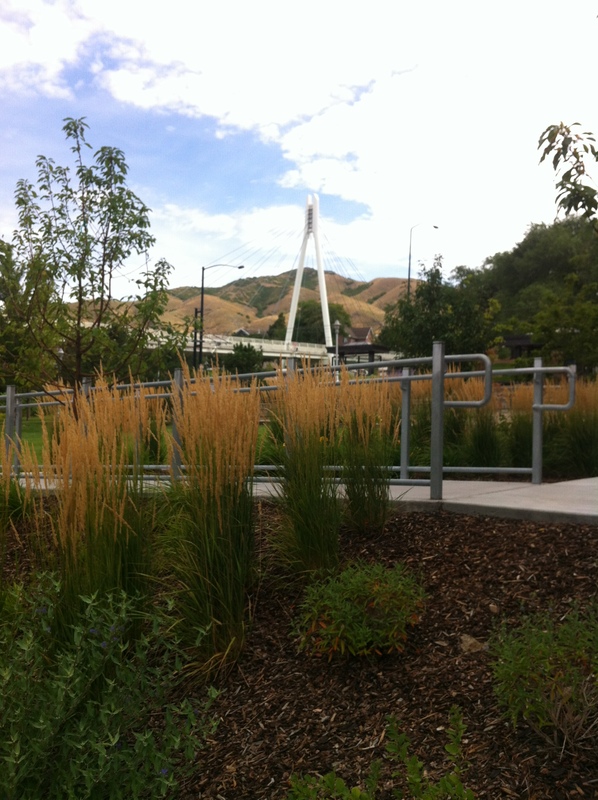 The last two weeks of August, I trekked from Palm Springs to Santa Barbara to Phoenix—and my daughter and husband threw in a trip to Salt Lake City in between. I was supposed to help my daughter set up her new home in Arizona this Labor Day weekend, but after my husband’s shoulder surgery Tuesday, I postponed my trip. A friend lectured me about leaving my husband alone after surgery. She said that my daughter should drive home to help us out—not me drive to see her. “After all, the new house isn’t going anywhere, she can get by with slowly unpacking, and you can help her at a later date,” she said. My husband did need attention, just a little, and my daughter happily agreed to come home for the weekend. It’s only a short drive from the Phoenix area to Palm Springs. Four hours to be exact on one freeway—“the 10.” In So Cal, we say “the” in front of every highway. They don’t do that in NorCal or Washington, where I grew up. 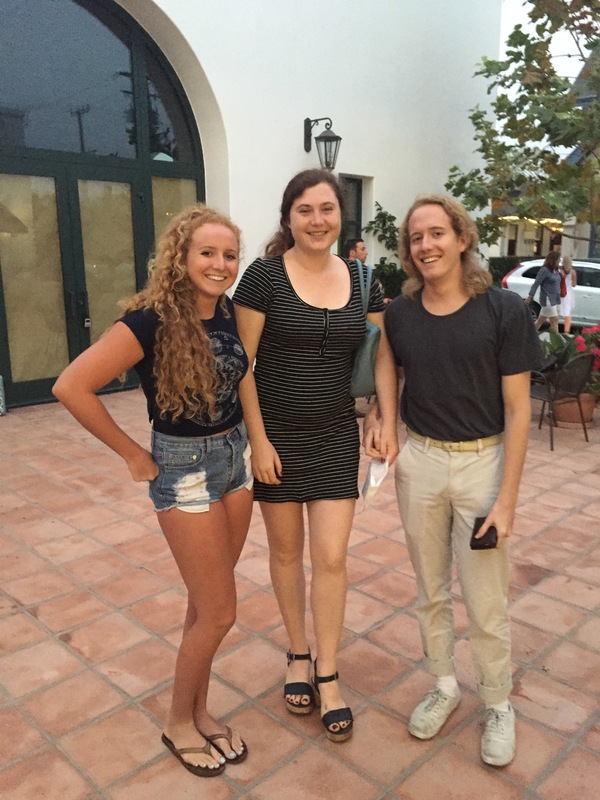 My son lived four hours away in Santa Barbara, which is in the opposite direction of Arizona. In the words of a native Southern Californian to drive from Palm Springs to UCSB, “you take the 10 to the 210 to the 118 to the 23 to the 101.” I feel so much more comfortable with the drive to Arizona on “the 10.” Period. Except for the big trucks, which I don’t like, it’s a one-shot deal. I hope to get there soon to help her set up her new home. I’m also anxious to get a fresh start to the fall. I’m relieved we made it through so many hurdles. Vacation, the move, the surgery, etc. are all behind us in the rearview mirror. It’s time to look ahead. Olive the cat seems to have survived another few days with Waffles. What do you think about the end of summer and the start of fall? Our first Thanksgiving without our kids. I’m thankful they are with dear friends and their families since they weren’t able to make the trek home this year. Instead of moping around the house feeling sorry about my empty nest, we’re celebrating with our close friends. It was 30 years to the day that I first met them (my husband met them through work) and we spent Thanksgiving weekend sailing with them in Santa Barbara. Here’s to friends and family and creating memories together. My daughter’s swim team sending out a Thanksgiving message with her pup. Who are you sharing your Thanksgiving with? What traditions do you share with friends and family? Waffles on our morning beach walk. I was stressed the day we left for vacation. Had I packed everything we needed? VRBO disappointed me. The condo was way smaller than it looked online. I didn’t realize there was only one window that looked out into a parking lot and no ocean breeze because it was on the wrong side of the building. After three days, I relaxed. We aren’t moving into the condo for good. It’s only a week and we can make the best of it. With my glass half full, I can say it’s clean, comfortable and we love the location a block from the beach. 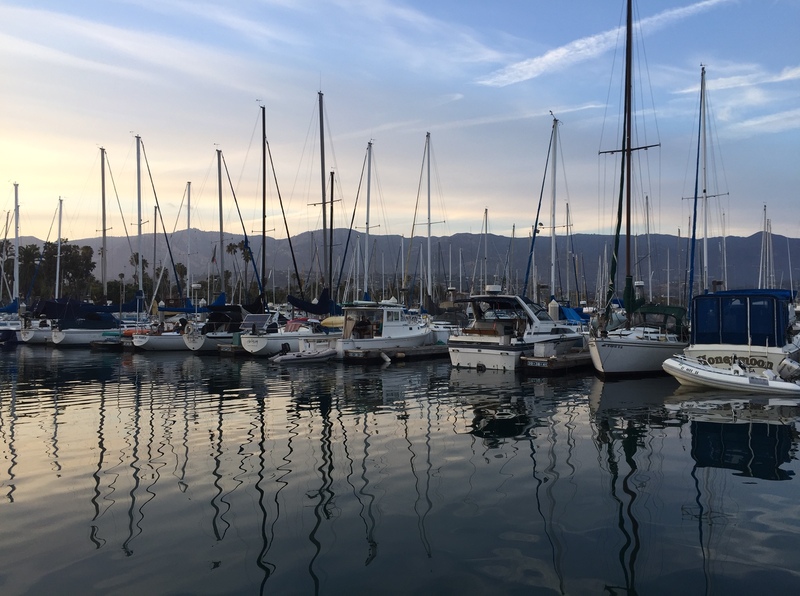 The marina in Santa Barbara. We are outside every day enjoying the fresh air. It’s such a big deal to be out of the AC of home where it’s 115 degrees and more. 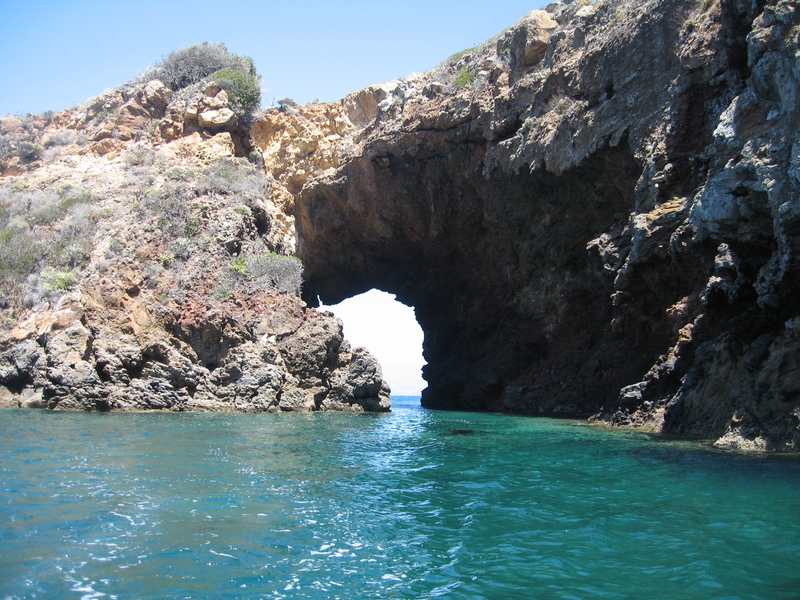 Sailing was exhilarating, breathtaking and yes—filled with fresh air. 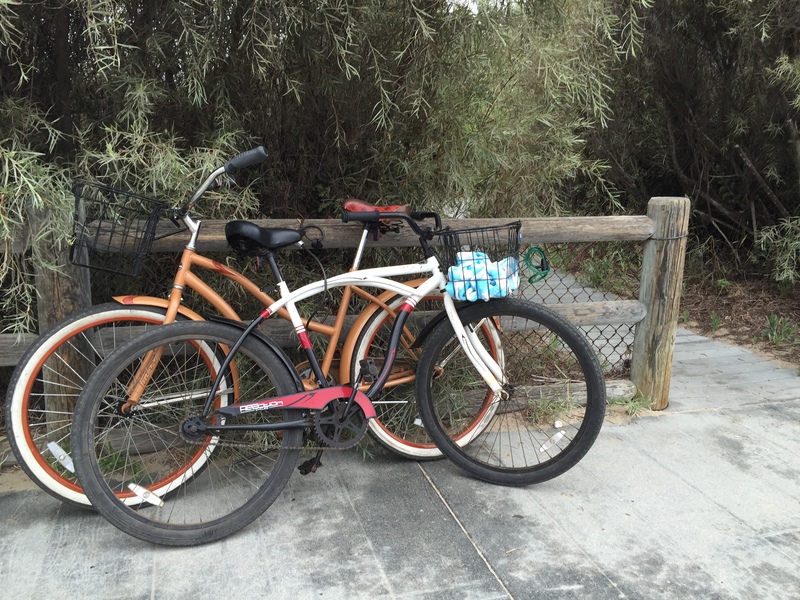 We love Carpinteria because of friends. Dinners al fresco, walks along the beach at sunset, and swimming are all better with friends. We’re fortunate to have best friends who love to entertain and cook for us. We’re even more fortunate they didn’t get tired of us after a week. Morning beach walks are the best. They’re better than my walk around the neighborhood and park at home. Waffles the pug loved his beach time and playing with new friends. I loved having my daughter join us for vacation. I hope it’s a tradition she continues for years to come. 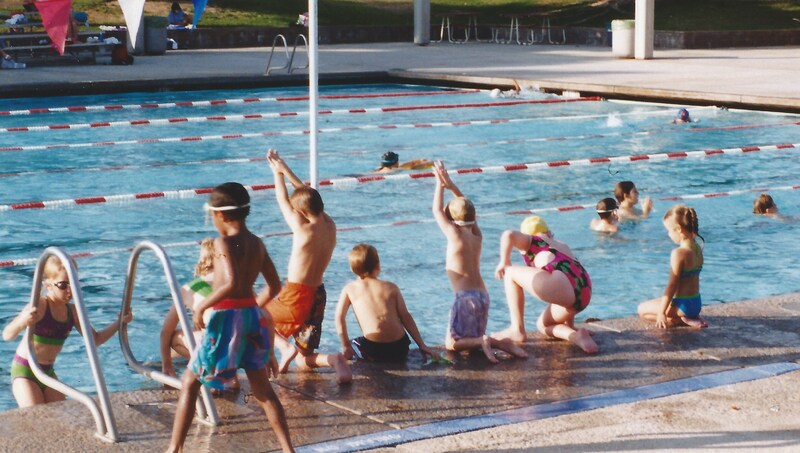 Swimming helped me relax. After swimming masters with my friend and her daughter as a coach, I felt good for the rest of the day. 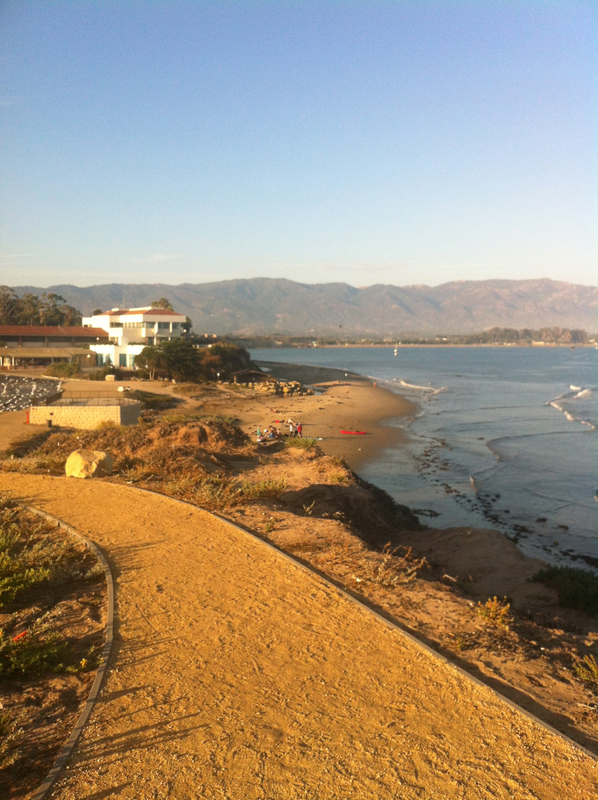 Why don’t we live in Carpinteria? Why was our vacation so short? On the lookout for Humpback Whales. Sunday was a perfect day for sailing. I went with my daughter, who’s home from college for a short break, and our friends—who own a sailboat. 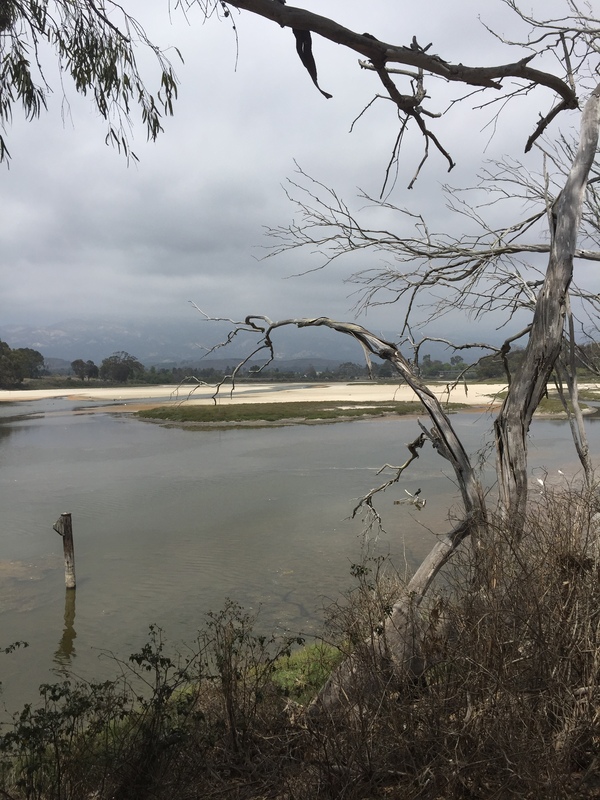 They live near Santa Barbara, and as an Aussie, Rob sails in and out of his slip at the marina, and the first time I went sailing with them, we were in a regatta. So, he’s very good at sailing. I’m a fair weather sailor. I like a gentle breeze, sunshine, and no waves. The weather was perfect. We watched as 14-footers raced, brightly-colored spinnakers hoisted, gliding over a glossy sea. 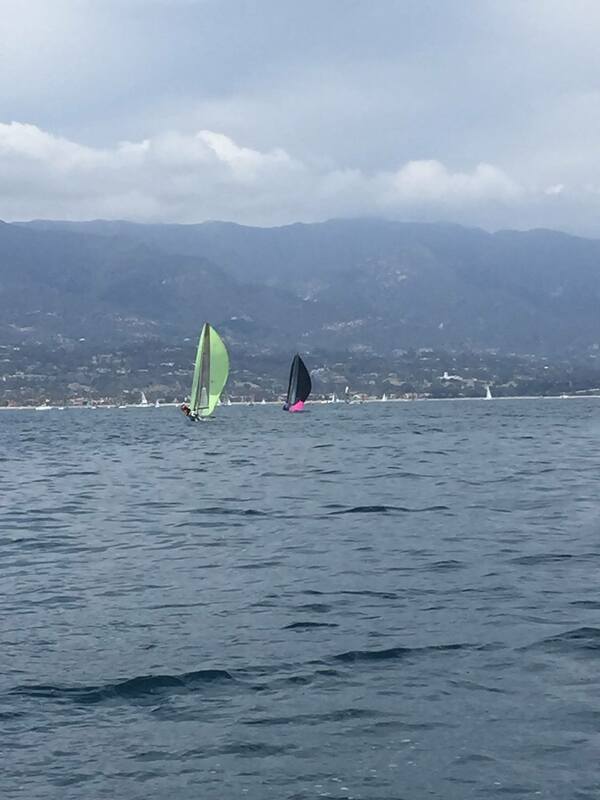 A couple of the 14 footers with spinnakers racing by. 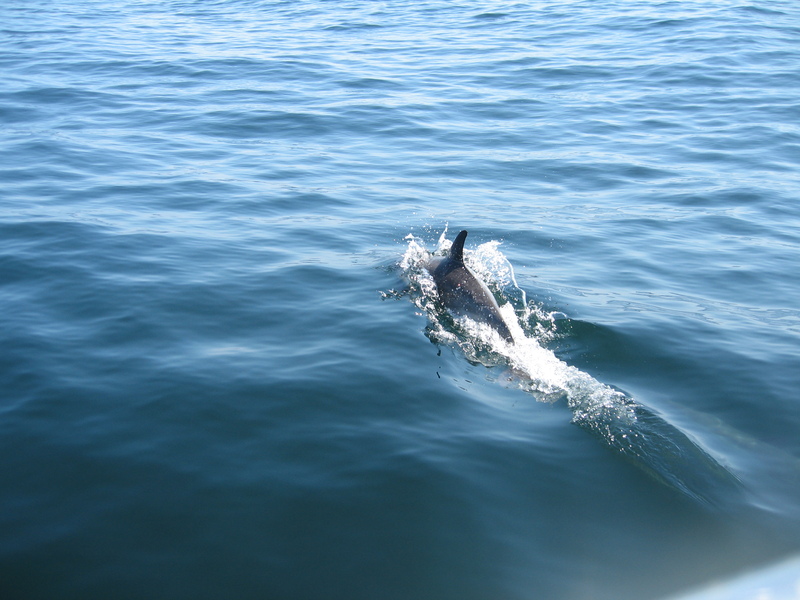 Then, we spotted a dolphin. Then tens of dolphins. 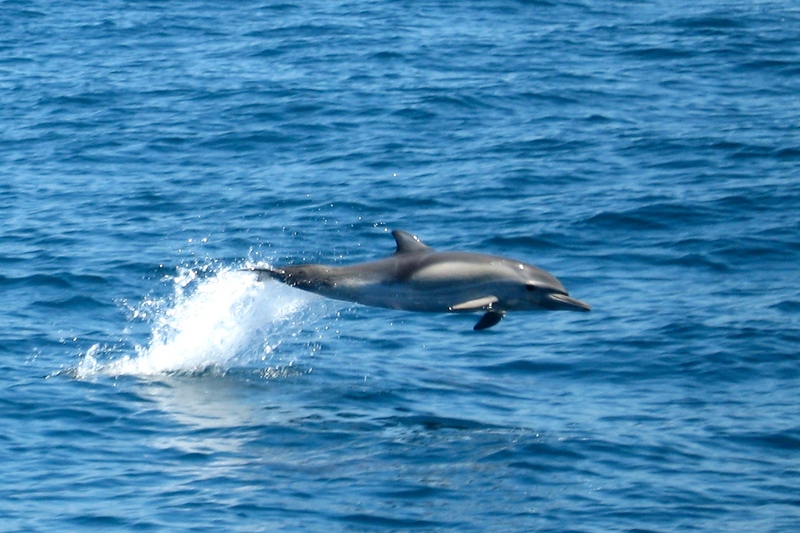 Soon the boat was sailing with dolphins leaping all around. Several were playing and cruising along the bow. 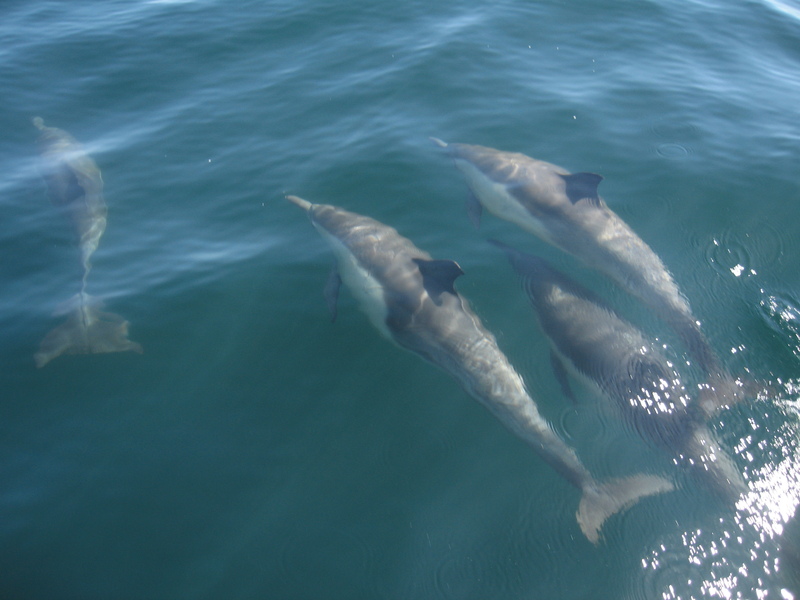 There were dolphins leaping in all directions, tens upon dozens of them everywhere! Then they slowed down and turned around. We watched pelicans and gulls dive into the ocean. Then–the spray of a whale blowing. The broad humped back, then the tail. WOW! We all yelled together. 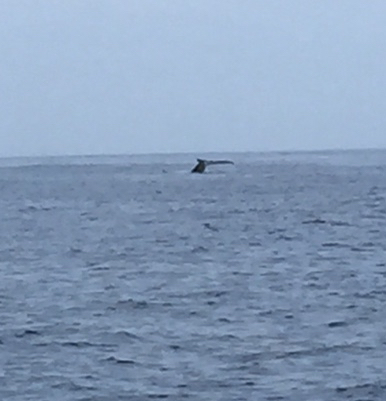 Soon we spotted whale number two. Then three. 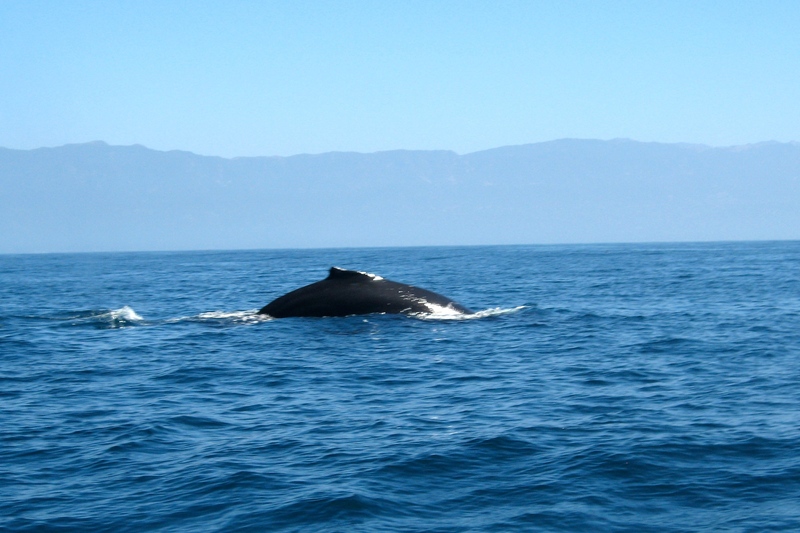 We were being treated to a pod of humpback whales. 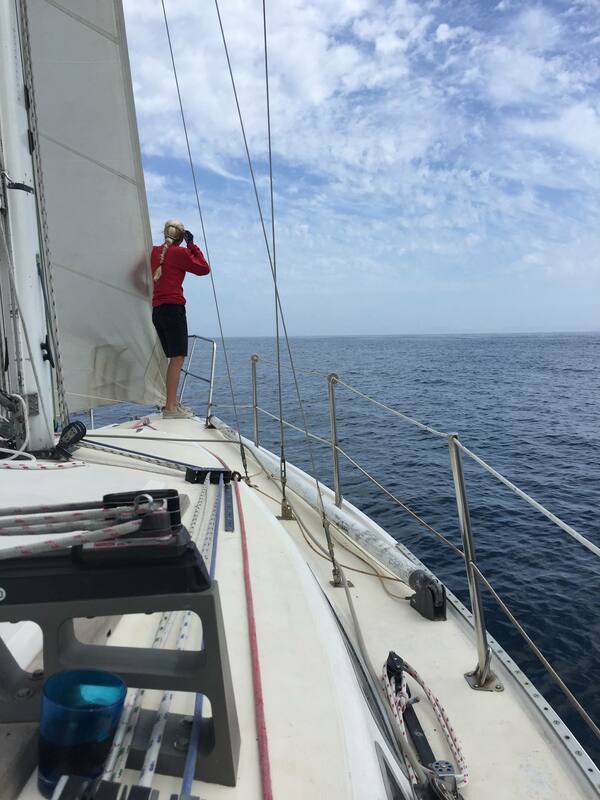 We spent the next several hours on the lookout for whales. After the tail goes straight up the whale dives. It was incredible to hear their loud gasp for air as they filled their lungs with oxygen before their dive. They hold their breath and stay submerged for at at least five to ten minutes. We would wait patiently, scanning the sea for a sign of the blow, and the back breaking the surface. What a truly amazing day. How sad I was the following day to hear about the oil spill. 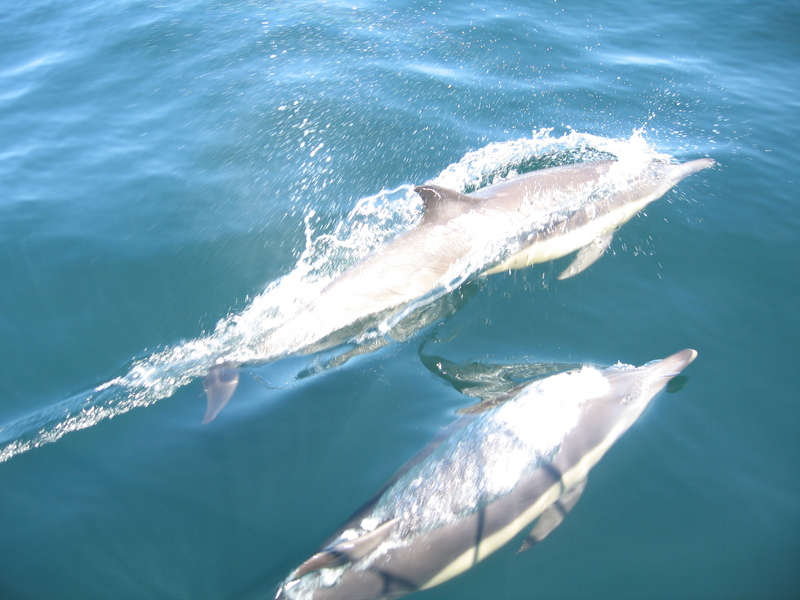 Here are more dolphin photos. 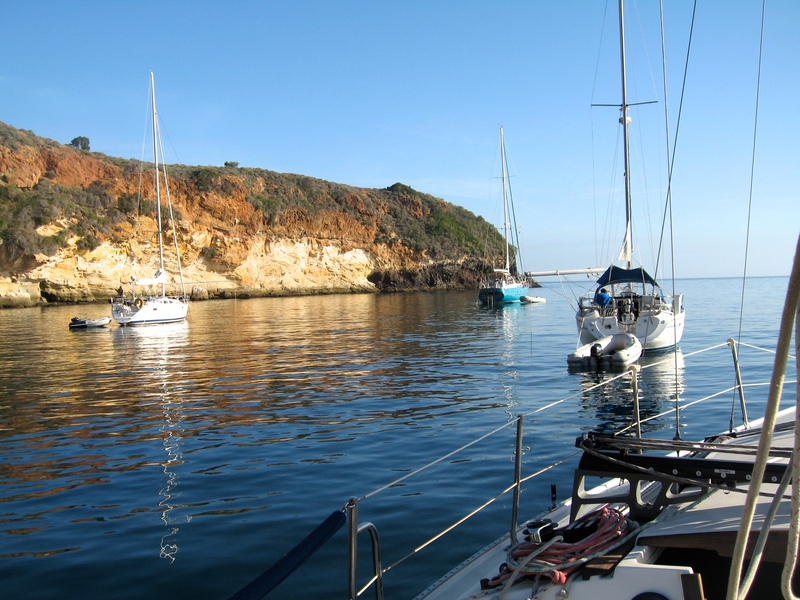 These are from my friends with the sailboat on a recent sail they had from Santa Barbara to the islands. How I wish I had been there. Dolphins having fun with the boat. 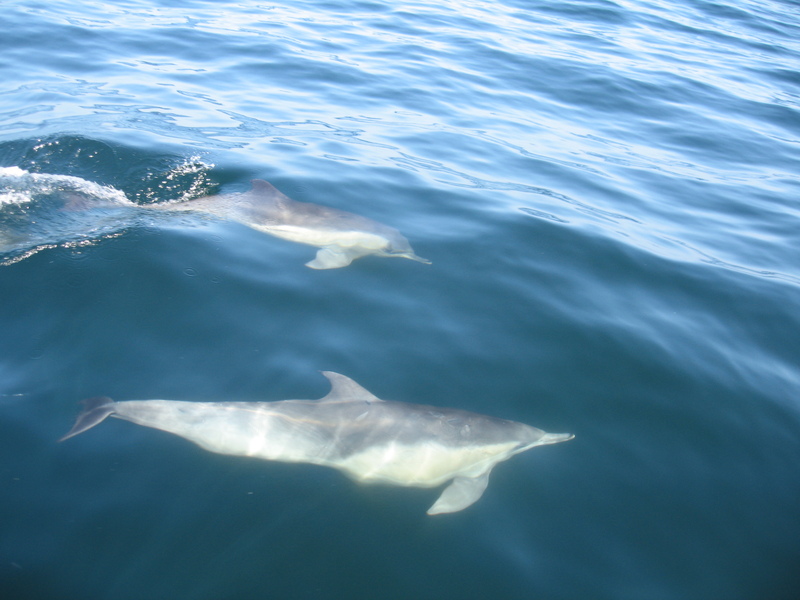 Two dolphins at the bow. Photo by Debbie Gardiner. Reflections during sunset at the Santa Barbara marina. Here are the latest photos from my friends from their June sail to “the islands.” Photos by Debbie Gardiner. We were caught in a whirlwind of activities and travel, running away from our empty nest. We went to the beach, Mexico, Utah, Las Vegas, Santa Barbara and Utah in that order in the past two months. Wheew!!! It makes my head dizzy to think about it. Now that we have stopped running, I’m anxious to start some big projects. Emptying out the guest room and redoing the bathroom and walls. The first part of this project means I have to go through boxes and closets and books and make decisions about what to toss and what to keep. 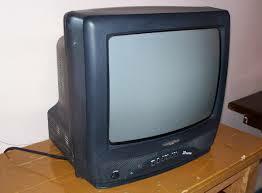 We have an armoire with a BIG TV and VCR and drawers full of movies that entertained the kids for years. 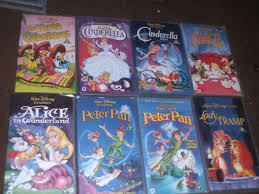 I feel somewhat sad about tossing out all the Disney classics, but they’re never going to be watched on a VCR again. 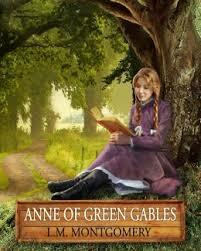 I have shelves of books that have followed me from childhood. The complete set of Anne books and Narnia Chronicles I will keep. I still enjoy reading them. 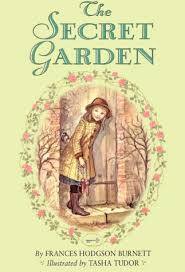 I’m holding on to A Little Princess and The Secret Garden, too. I think my husband wants me to get rid of them all, but they are like dear friends that I cannot part with. I keep avoiding this chore of going through the “guest room” which at one point in our 22 years here, was called the “computer room” because before kids in 1992 it was where my first Apple computer lived. Now I’m on about Apple number nine, wanting to return to work in my computer room. I’m coming full circle becoming the person that I was before. It’s a great feeling, but a little scary, too. One of our earlier Apples. 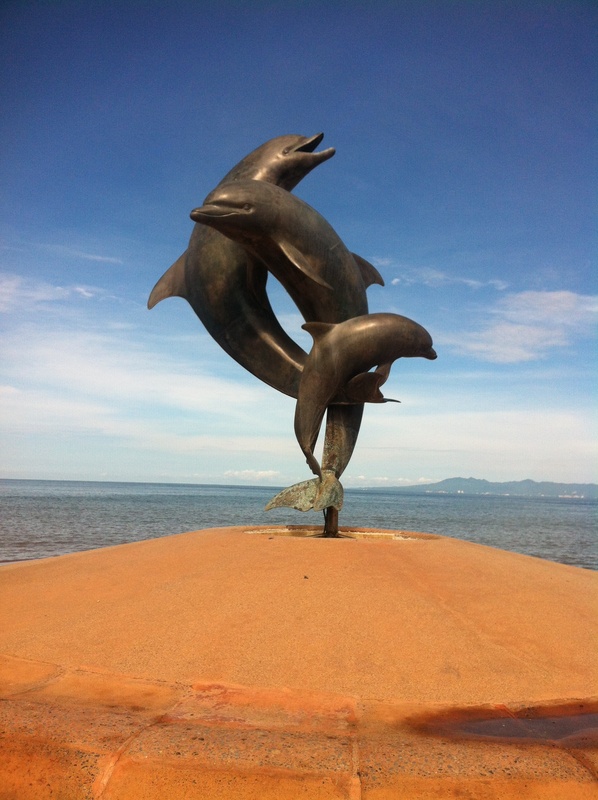 The dolphin statue in Puerto Vallarta by Bud Bottoms. 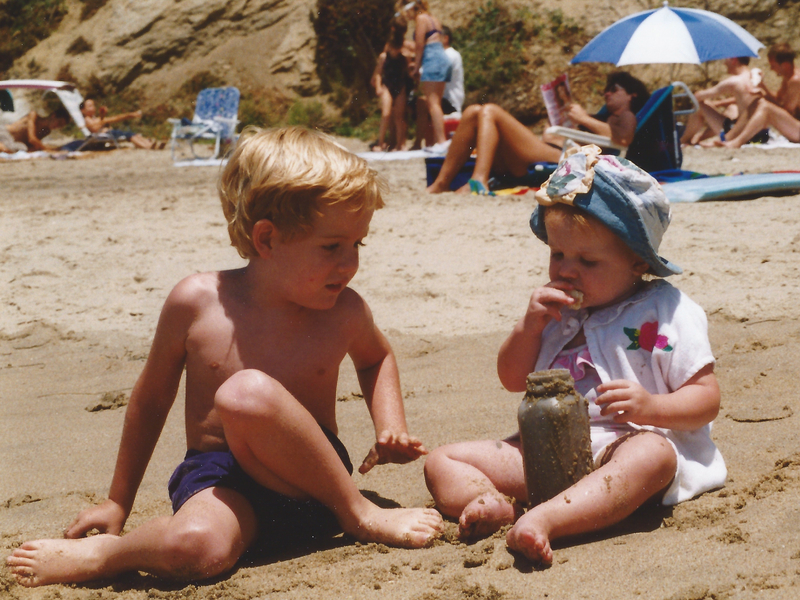 It’s a twin statue to the one at Stearns Wharf in Santa Barbara. 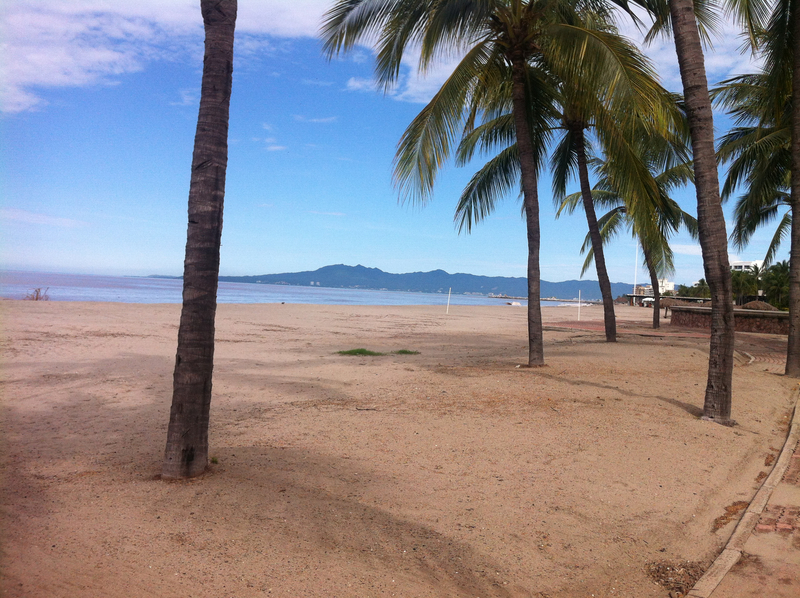 We were on vacation in Puerto Vallarta — enjoying “empty nesting” that I first wrote about here. We went to a brunch at a luxurious gringo resort — complete with every type of food imaginable — waffle and omelet stations, a taco bar, sushi, every type of seafood and protein known to man, plus gorgeous arrays of fruits and salads. I was being so good, trying to stick to a high protein, low carb plate — salmon, pork, a taste of sushi. And then I saw roasted Serrano chilis near the elaborate Mexican dishes. It wouldn’t hurt to just have a taste, would it? I plunked the single chili onto my plate next to the scrambled eggs. Later, sitting at the table with my husband, friends, and a person we had just met, I cut off a small bite of the chili. POW! YIKES! Help me, Jesus! How could I sit still, be polite and nod and smile? My eyes watered, I shifted up and down in my seat and I thought I was crawling out of my skin. I was ready to jump on the table and do a happy dance! That was the all time hottest chili. Ever. So much for the high protein low carb diet — I began stuffing my mouth with bread, tortillas, chips — anything to get the soaring heat to die. The next evening at dinner, I listened to one of our friends tell a story about when he was in college and ate his first jalapeño. He was told that the secret was to keep the chili from getting any air. So right from the jar, he slipped the jalapeño into his mouth and closed his lips tight. Then he chewed and was blasted with unbelievable heat. He said the guy who told him “the secret way to eat chilis” laughed so hard that he’s probably still laughing today — 40 years later. 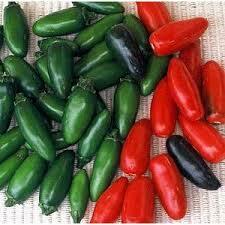 Now that I’m away from the freshly roasted peppers, I looked up a few things about chilis. 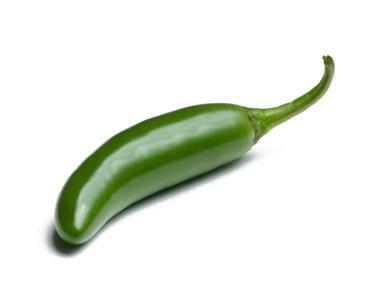 First, serrano chilis are typically eaten raw and have a bright and biting flavor that is notably hotter than the jalapeño pepper. No kidding! 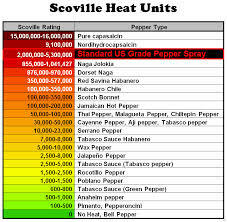 There is a thing called the Scoville Scale that measures the spicy heat of the pepper! Who knew? What makes a chili hot? The answer is capsaicin. What is that you ask? “Capsaicin (/kæpˈseɪ.ɨsɪn/; 8-methyl–N–vanillyl-6-nonenamide) is an active component of chili peppers, which are plants belonging to the genus Capsicum. It is an irritant for mammals, including humans, and produces a sensation of burning in any tissue with which it comes into contact.” — from Wikipedia. If you ever have the horribly uncomfortable occasion of biting into a super hot chili — milk and dairy is the answer. I did not know this. Do not drink water, tea or coffee. Try milk, yogurt or cheese to cut the heat. The next best thing is bread, rice or pasta. Besides the great food and hot peppers, what did I enjoy about Puerto Vallarta? Try this! View of beach in Puerto Vallarta.